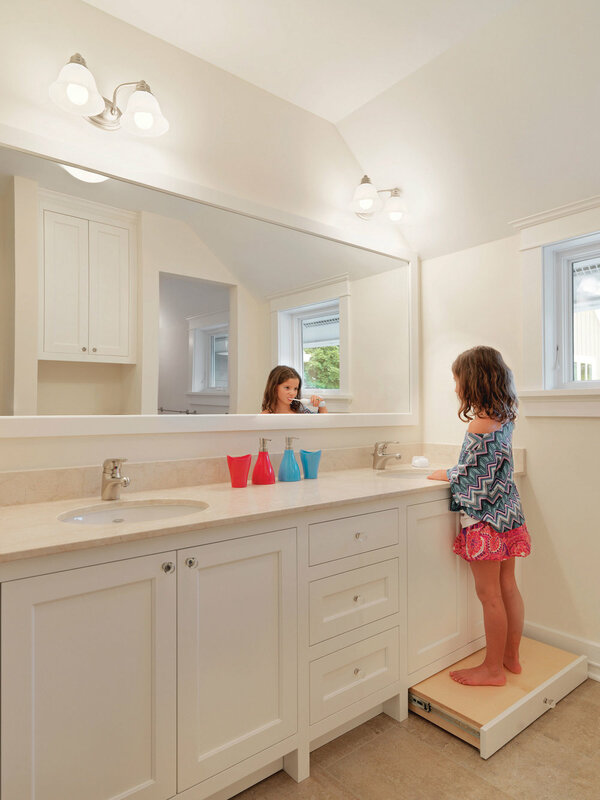 The perennial question of how to reach the sink and see the mirror when you’re only 5 years old gets asked a lot in the custom cabinet business! When a client doesn’t want clunky or awkward step stools to do the job we get creative. Recently we designed a custom step stool in the toe kick of this vanity. The toe kick was designed slightly taller than normal to give just enough extra height needed for the pullout stepstool. When open all the kids in the family are tall enough to use the sink and mirror in their new home. When closed, the hidden step stool looks just like a normal toe kick.